You are here: Home / About Me and the Team. About Me and the Team. I’m a designer by trade, but also love to garden, cook, and travel, and am usually found doing at least two of the three whenever I can! 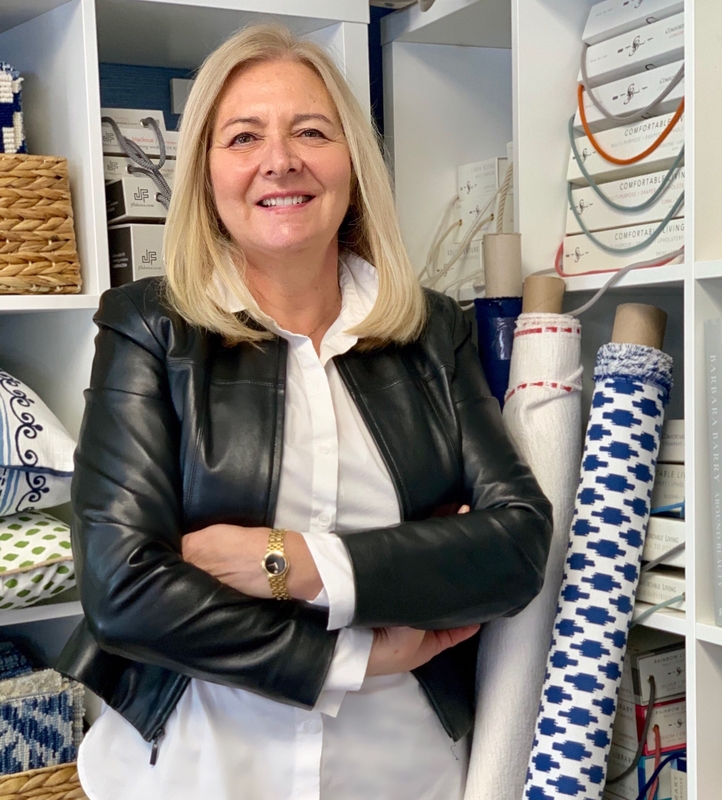 When I wasn’t busy raising four kids I could be found sewing curtains, knitting and rearranging furniture, which eventually blossomed into a full-fledged interior design business. As the sole proprietor, I understand what it means to invest in your home to create your individual style and welcome your friends and family. I started my business in 2003, committed to building on my decorating and designing expertise, and proudly can point to over 250 clients throughout Eastern Long Island and the greater New York area. I’ve worked on projects large and small in Montauk, East Hampton, Sag Harbor, Southamtpon, Quogue, Westhamtpon Beach, Remsenburg, Nassau County, Manhattan and Connecticut. Personally, I think I should have my own designated seat on the Hampton Jitney! My very first project was designing window treatments but I have since expanded my business to include larger scale work such as being part of multi-million dollar home designs from the construction plans to the outside and interior design. For each of these, I offer very personalized customer service, design expertise and can connect you with recommendations from many, many satisfied clients. My husband and I satiate our empty-nest syndrome by traveling whenever we can and hosting lots of dinner parties, another creative endeavor of mine you might see floating around on our blog and social media pages! The studio in Westhampton is fully staffed so that customer inquiries and projects always have our full attention. Assistants, Kelin Calabria and Kim Bourke hold down the design fort when I am out combing the beaches for that perfect piece of driftwood for a client’s coffee table, finding fabrics or furniture at New York City designer showrooms, or meeting with clients all over Manhattan and the Island. My husband, Steve Keegan and I also work side by side outside of our nest, as he manages and oversees all projects involving home renovations. Steve also operates Dream Home Maintenance, a property managing business, often in tandem with our design homes. My projects range from small modest living spaces, to multi-million dollar residences. For an in home consultation, feel free to call me at 631.325.5900 or email me at info@dreamwindowsandinteriors.com. And of course, stop in the studio anytime, 29 Montauk Highway, Westhampton, N.Y., Monday to Friday, 9-5 pm and Saturday and Sundays by appointment.